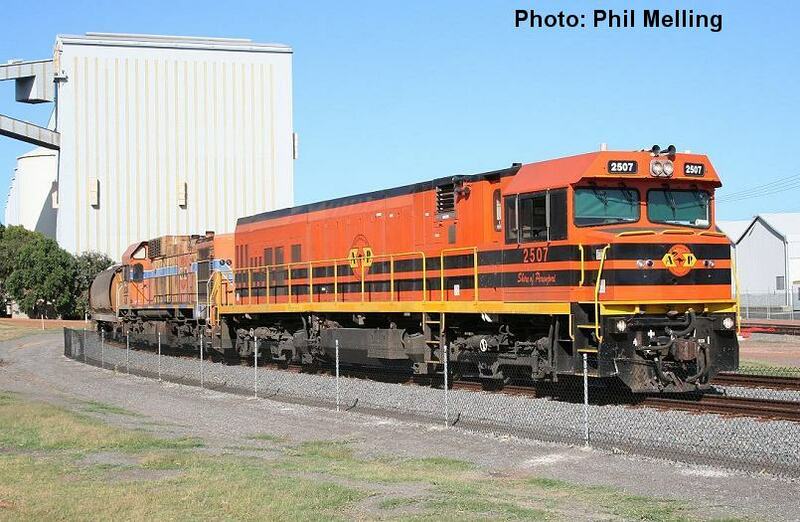 1906/AB1535/2507 on an empty grain train near Walkaway on 26 January 2006. 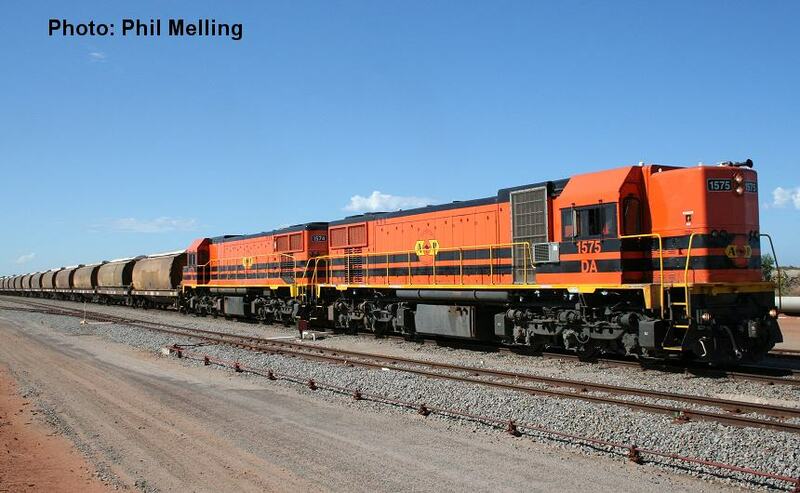 2507/AB1535 unload a grain train at Geraldton Port on 24 January 2006. 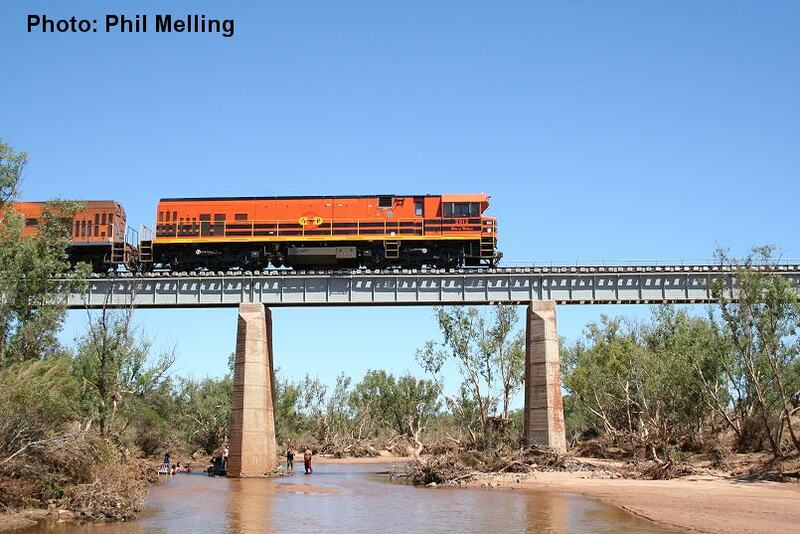 2512 crosses the still flowing Greenough River at Eradu on 4 February 2006. The river was in full flood about a week earlier. 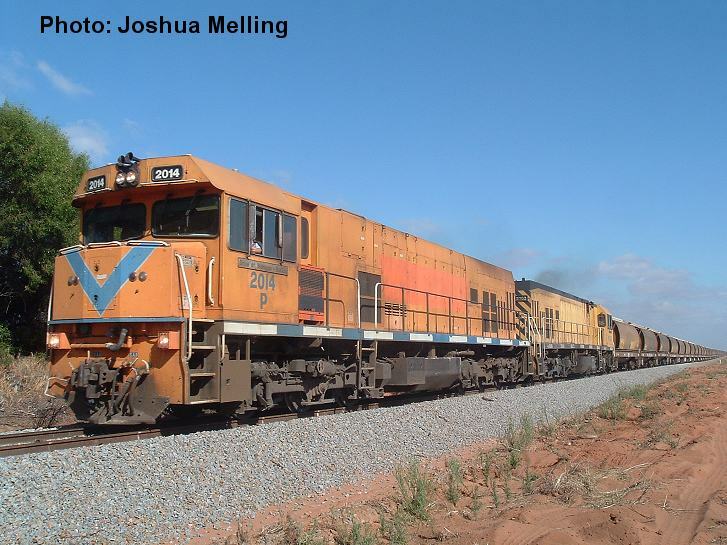 DA1575/DA1574 depart Narngulu for Geraldton Port (after detaching 1906) with a loaded grain train on 25 February 2006. 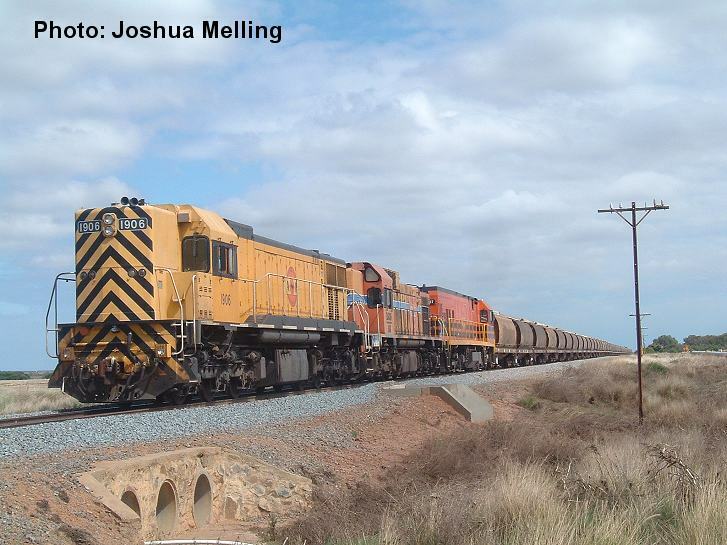 P2014/P2008 haul an empty grain train south towards Walkaway on 18 February 2006.